I practice Equine Facilitated Wellness, Counselling and Psychotherapy at Highlands Gate Wellness, on our 85 acre farm in Lanark Highlands, Ontario, Canada. It is an honor to serve on the board of Equine Facilitated Wellness-Canada with this dedicated group of people who are furthering the accountability, education and development of the field of Equine Facilitated Wellness. As one of the founding members I have seen the growth of the association over the years and look forward to expanding our membership and community of like minded people. Presently executive assistant in a medical office. Previously administrator with Artswell, arts directed programmes for those with limitations of life. Executive Director of Children's World of Wishes. Personal nursing care. Palliative care certification. Lifelong owner, breeder, coach and equestrian competitor. I live on my 160 acre family property Silver Valley Ranch 30 minutes northwest of Calgary AB, Canada, where I see clients for Equine Facilitated Emotional Wellness Coaching , Personal Development Workshops, Relational Horsemanship, Ethics with Heart & Leadership Training. I am truly honored to have been invited to join the Board of Directors for Equine Facilitated Wellness-Canada, an amazing group of individuals so dedicated & passionate about the health and well being of humans and animals alike. I look forward to being able to serve the EFW community in any way that will help individual practitioners become united and encourage our industry to expand. I am a clinical social worker and I primarily work with soldiers and veterans who have been diagnosed with an operational stress injury. I practice Equine Facilitated Wellness in at my farm in Braeside, Ontario. Horses have been a large part of my life since my early adolescence. I have been studying the practice of EFW since 2004. I am an EFW-Can Certification candidate. I am proud to be a member of EFW-Canada and to serveon the board. Sara B. Willerson, LCSW is a licensed clinical social worker practicing in North Texas. She is a graduate of Smith College School for Social Work and Hollins College. She completed an Equine Experiential Learning Apprenticeship with Eponaquest in 2003 and is an Epona Advanced Approved Instructor. Ms. Willerson is a member of National Association of Social Workers (NASW), Professional Association of Therapeutic Horsemanship (PATH) International, and the Society for Shamanic Practitioners. She is a board member of Equine Facilitated Wellness Canada. She has presented at multiple conferences including the NASW Texas Conference in Austin, TX (2005), The European Society for Trauma and Dissociation Conference in Belfast, Ireland (2010), The Women of India Leadership Summit in New Delhi, India (2013), and the National NASW Conference in Washington D.C. (2014). Her equine facilitated psychotherapy practice has been showcased in several publications, including Southwest Airlines’ “Spirit” magazine (Sept. 2006), the self published book, Journey To The Heart Through The Way of the Horse (2013), and co-author of a chapter in Creative Therapies In Depression (2015). She currently hosts an Internet radio show, Horses, Heart & Soul, on NaturesChannel.FM showcasing Horse Wisdom Straight From The Stalls. Ms. Willerson’s professional experience has focused on working with clients who have experienced trauma, grief and loss, and life transitions. 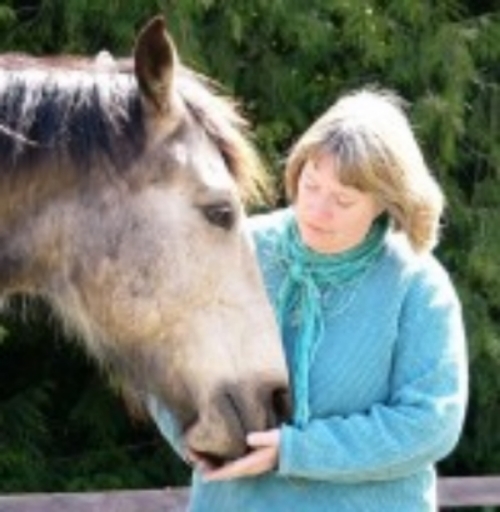 Through her private practice of equine facilitated psychotherapy, she is particularly interested in working with the current manifestation of past trauma-whether it be depression, anxiety, PTSD, addiction, self-harm, disordered eating, or disconnection. Her Horses, Heart & Soul, ™ LLC program at WolfTree Ranch in Pilot Point, TX Sara offers individual, family, couples, group, and workshop sessions for children and adults. Together with her equine partners, Ms. Willerson invites children and adults to experience the healing power of the horse outside of the traditional office environment. I am a dual certified Equine Facilitated Wellness Professional (EP and EFLP), Wellness Coach (Erikson College), horse trainer, business woman and former constable with the Vancouver City Police Department. For over forty years, horses have been front and center in my life. From the five-year-old pleading with her parents for a pony to the professional horsewoman I am today, horses have been my focus. At my Abbotsford farm, Anam Cara Farm and Learning Center, I own and operate Unbridled Potential, an academy dedicated to forging safe, respectful and trusting bonds between horses and people; Standing Six, an equine support system for first responders to heal, learn and grow; and Empowered By Horses which helps empower youth to make healthier lifestyle choices. I bring to the board a philosophy of Heart Centered Leadership. It is my passion to build positive relationships and mindful interactions between clients, their horses and the community in which they live. I am honored to be a part of this wonderful community of like minded individuals. I am an EFW-CAN, Tri Certified as a Mental Health, Learning and Equine Professional and hold the highest certification as a EFW-CAN Mentor and Trainer. My career has been in counselling since 1988 and I have been practicing Equine Facilitated Wellness with a wonderful team at Generation Farms since 2000. I was involved with the early days of EFW-CAN and am taking a turn to represent the group of EFW-CAN Trainers at board meetings. It is a pleasure to connect with people across the continent that are willing to work for what they believe. The Board and its representatives would also like to acknowledge and Thank the EFW-Canada coordinator for her dedication and passion and the panel of committee and subcommittee members we appreciate all the amazing and very hard work you do for EFW-Can!